Be remembered for your gifts. 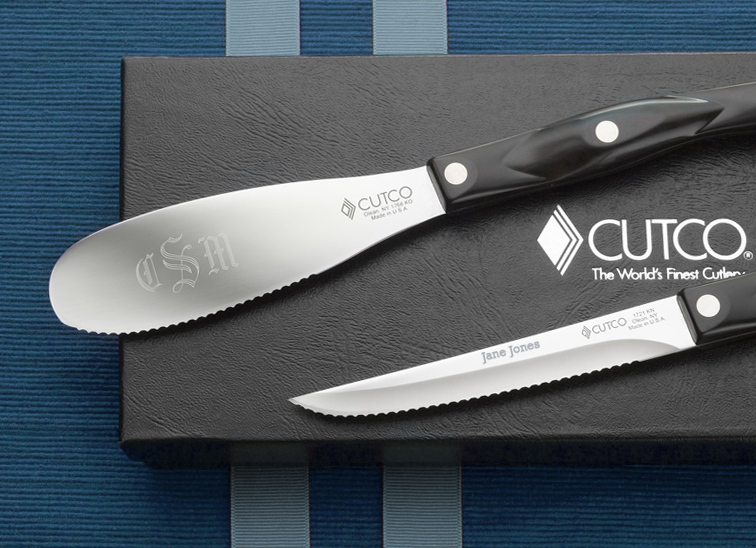 Cutco offers gift services, like engraving and gift wrapping. 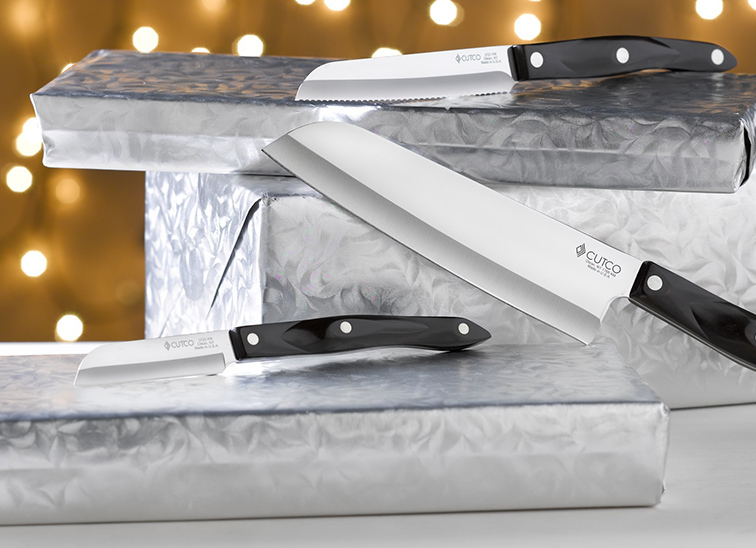 Most Cutco knives and accessories can be engraved with a special message or monogram. We can gift wrap your selection in this elegant silver foil and add a free personalized gift message to the packing slip; making your gift even more meaningful. 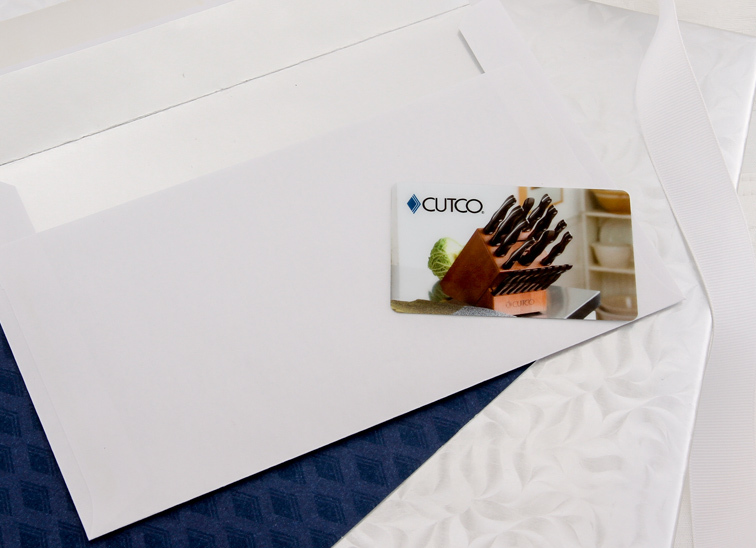 Cutco's Gift Card can be used towards the purchase of any product on cutco.com.